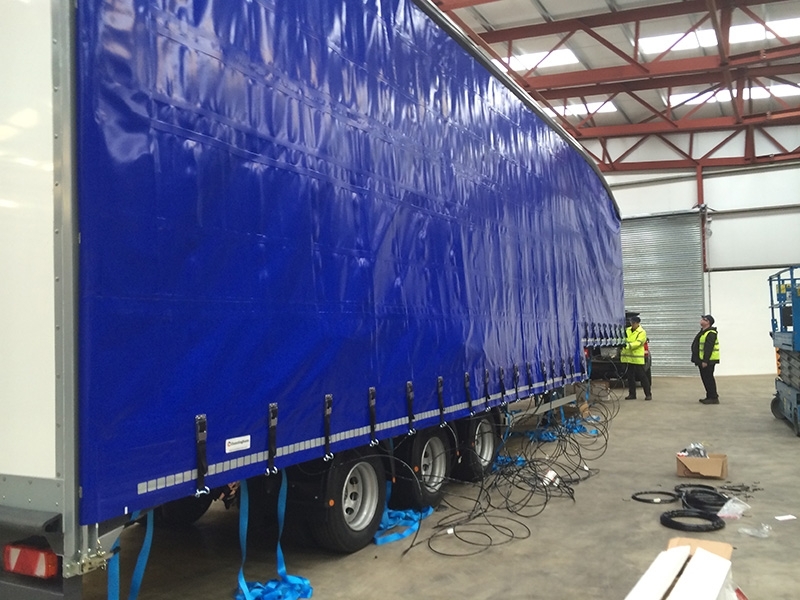 The European safety standard EN 12641-2 for curtain sided trailers was introduced a few years ago; today, this piece of legislation is being increasingly enforced, and the onus is now ­firmly on operators to ensure they comply. Surprisingly, though, it seems not everyone is aware of their responsibilities. 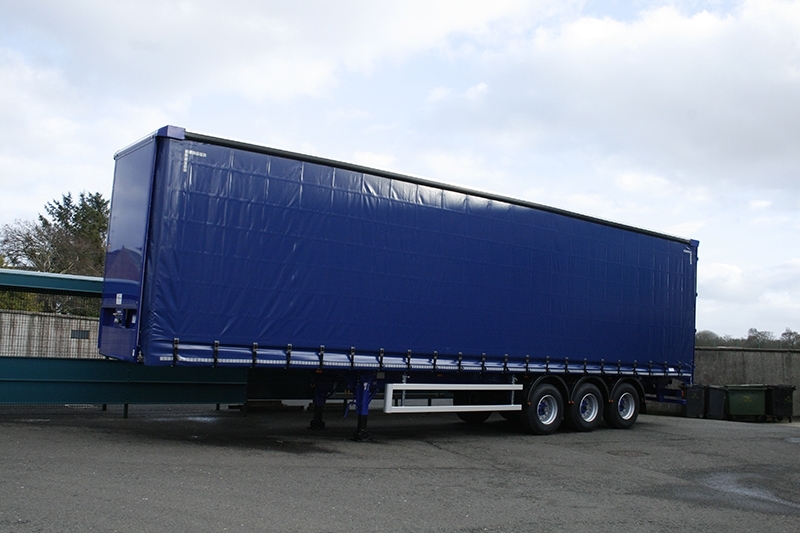 As part of this trailer specification the curtainsides themselves must be manufactured in a specific manner and from certain materials. This process and materials used have always been a standard in the Cunningham method. Other requirements of EN 12641-2 state that vertical belt strength must be to 2.3 tonne, while horizontal belt strength has to be 1.2 tonne, with vertical and horizontal belt spacing a minimum of 600m developing a super strong mesh. All materials used are our 900gsm Panama. Stainless steel positive locking buckles also have to be used and curtains must display a badge showing the date of manufacture and the curtain manufacturer. 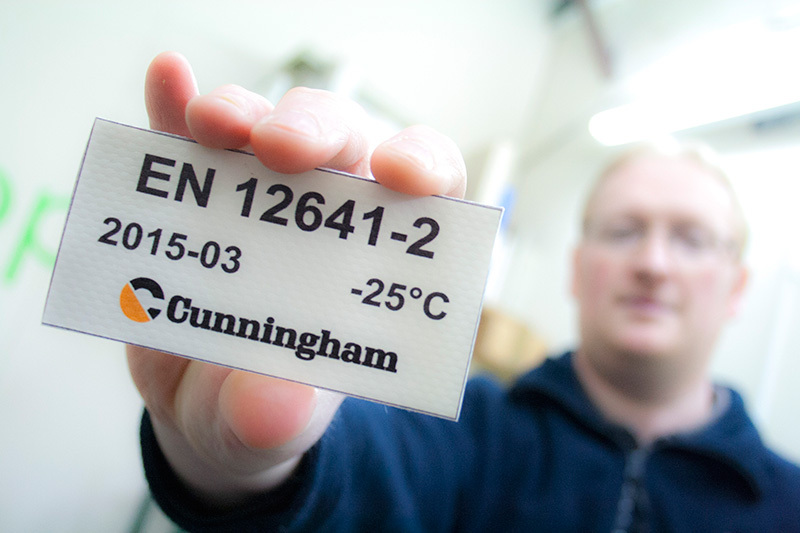 Look out for the EN 12641-2 badge. 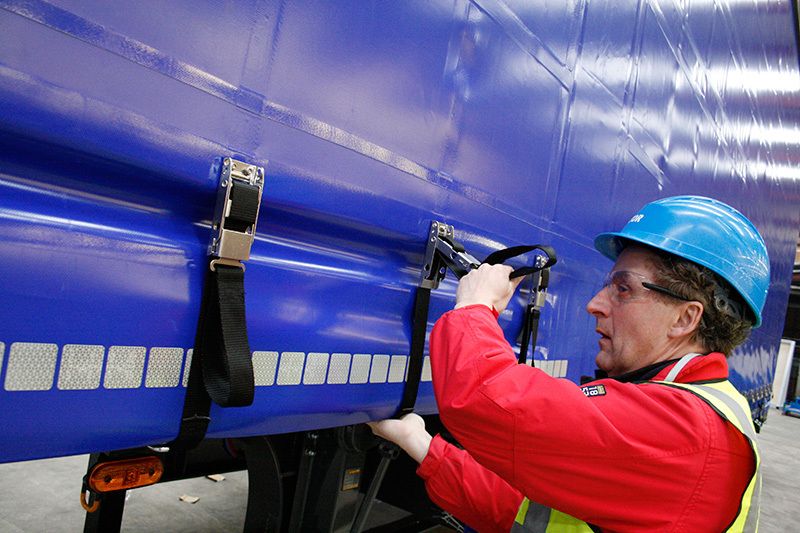 Operators can be assured that any EN Spec side curtain acquired from Cunningham will meet and exceed these requirements, and all products are tested in house to ensure quality and compliance. This new code being a Cunningham standard for years. 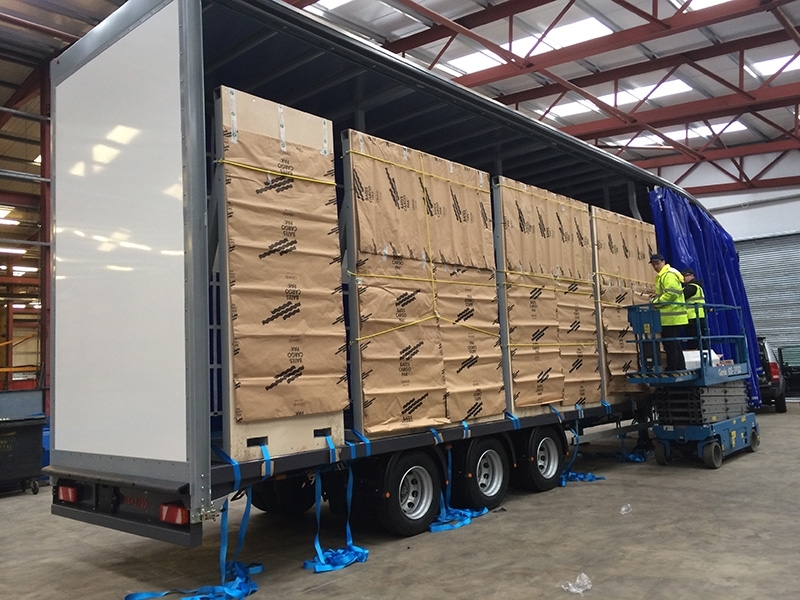 Using the most up-to-date materials and technologically advanced equipment, Cunningham, together with a dedicated workforce and after-sales service, have helped to contribute to the company’s steady growth over the years. Rest assured the Cunningham EN Spec product will satisfy all interested parties. Interested in EN Spec Curtains?